It’s that time of year again, and I’ve been thinking about things I’d love to receive in my Christmas stocking how to show all my friends how much I love them… so here’s a selection of lovely things you can all buy me gift ideas for any women’s cycling fans in your life, for Christmas or any other reason. I don’t know what the online equivalent of leaving a catalogue/advert lying covered in giant circles around what you’d most like to receive, as a super-subtle hint to your nearest-and-dearests, but feel free to do that with this! I’m always on the look out for fun things, so if you see present ideas you think I should know about, leave me a comment, email me at prowomenscycling [at] gmail [dot] com or tweet me on @_Pigeons_. I’ve had some great suggestions already on twitter, so I’ll put up another post next week with people’s recommendations. A unique blend of six essential oils specifically selected to help physical restoration and mental balance. The completely natural ingredients, which include Arnica, Lavender, Geranium and Chamomile are also reputed to reduce swelling and inflammation and improve recovery from the muscle pains associated with cycling. I’m allowed to say this, as I’m a girl, but those oils are very good for period-related fun – and I also love pouring this into the bath, and just mellowing out, because it smells SO good. 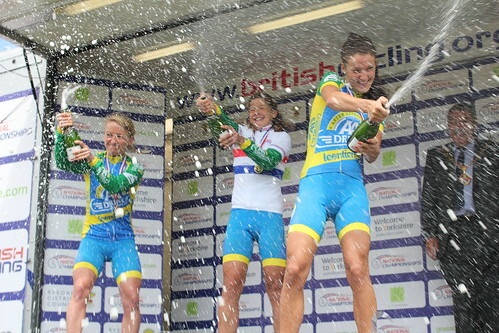 Plus Simon is a great guy, very generous and kind – the reason I blog about women’s cycling is because he asked me to guest-post on his old website, years ago – so I’m extra-happy to promote him. But I’d never recommend you spend money on presents for me anything just because I like the person – this is bloody good, whoever made it! I really, really love this t-shirt, and as soon as I get paid, I’m buying one, if there are any left! 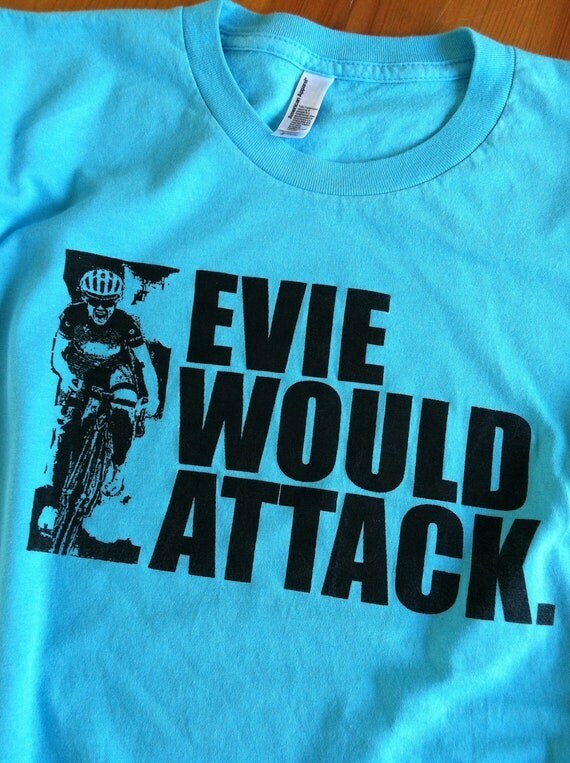 It’s made by Jenny Wilson, who’s @freebirdvelo on twitter, and blogs at freebirdvelo.blogspot.com. These t-shirts are on limited release on her Etsy store – click through for the unisex fit here, and the women’s fit here and buy one before they go! 28/11/12 Update: I’ve included information about these and other freebirdvelo t-shirts on my guide to Presents for women’s cycling fans – have a look at lots of great gift ideas for the men and women in your life who love women’s racing! 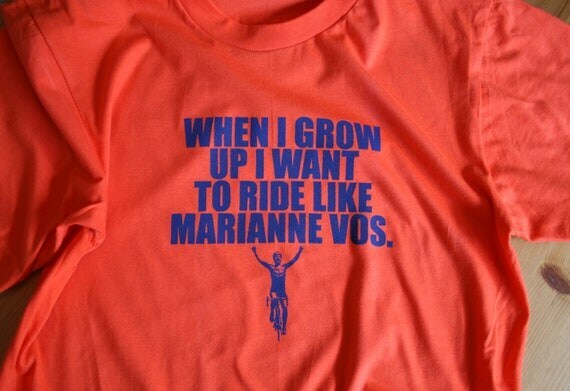 08/01/13 Update: There’s a new Freebirdvelo Marianne Vos design – check out my post on it!